You know it‘s time to start growing your empire but you’re not quite sure where to begin! Growing an online business can be incredibly overwhelming. There are so many moving pieces, how do you even know where to start? SEO, Blogging, Content Creation, Social Media and more. You’re expected to know and do everything, but we all appreciate that it’s just not possible. I am a highly experienced, highly skilled, confident and innovative Pinterest Manager and Strategist. Researching relevant Pins. Pin creation. Writing SEO rich descriptions. Monitor trends and activities within the Pinterest platform. Follow those within your niche. Research and apply to Group Boards and Tailwind Tribes. 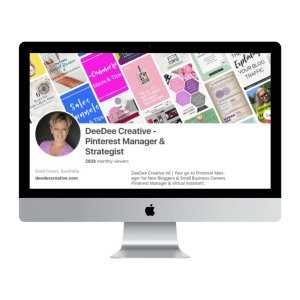 I’ve been using Pinterest successfully for both my business and the businesses of my clients for the past two years. We have all enjoyed amazing growth, increased traffic and sales without having to pay for views or clicks. Why not join the DeeDee Creative Adventure today and allow me to be your tour guide? Take a look at my Work With Me Page to get a better idea of what I can offer to help your business flourish. 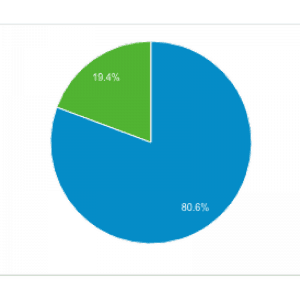 80% of my traffic to my website comes from Pinterest alone. The remaining traffic here is from Facebook. I’m consistently gaining an increase in viewers to my Pinterest account. My best performing Pin is one that I created more than 12 months ago. 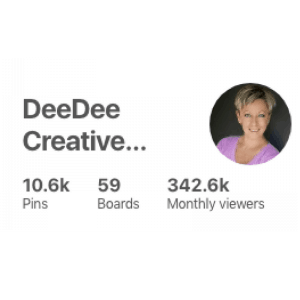 HOW CAN A PINTEREST MANAGER HELP YOU? You know that Pinterest is effective but you don’t have time to set it up or learn how to use it. You’ve been using Facebook and Instagram to drive traffic with very little success. You’re struggling with SEO, Page Views and all the rest. Social Media Support and Marketing is an effective way to promote and grow any business. But, for it to be successful, it has to be done effectively and efficiently. Connecting with your target audience will help boost engagement, boost your brand presence and ultimately increase sales. As a small business owner, marketing your business on social media is so important. Having an active, growing Social Media audience can drive traffic back to your website and increase sales! Consistent engagement is so important on Social Media. You can’t just post and run. By engaging with your followers you will elevate your know, like, trust factor and ultimately, gain loyal followers. Do you struggle to find time to maintain your Pinterest account? A well maintained and current Pinterest profile is so important when it comes to promoting your business. Maintaining a social media presence can take up so much of your time, which can make life difficult if your time, attention and energy are required elsewhere. Your social media profiles can become obsolete in a very short time when left unattended. A social media audit can help get your social media back on track.